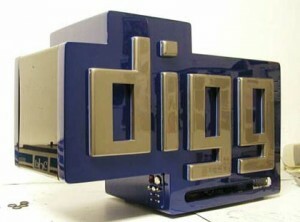 Diggers will love the new options coming soon to Digg.com. My trusted source gave me some of the new options that Digg users will have available very soon. Save to Read Later: Allows you to flag story headlines you find interesting, and Digg will keep a list that you can easily access later, so you can read the articles at your leisure. Digg Verticals: Allows you to discover the most popular content by thousands of areas of interest, from broad topics such as Technology, Sports and Entertainment to niche topics such as iPhone News, Nintendo and Surfing. You can choose to be notified when stories in your favorite verticals become popular. Anonymous Digging: You can Digg and bury stories without logging in to a Digg account, so that it’s as easy as 1-click to tell us when you like or dislike a story. (Don’t worry, Digg has mechanisms in place to prevent a user from Digging the same story multiple times.) You can log in or create an account to save your Diggs. Digg Breaking News: presents “hot off the press” news topics on the home page based on a rapid rise in interest by the Digg community. See the most talked-about topics at a glance, and browse and read related stories. Hot topics will remain on the home page for as long as they’re newsworthy — as determined by the Digg community. Digg Groups (best one I like): Allow you to create, subscribe to or browse groups so you can discover and share content with people who share your interests. By connecting you with similar Diggers, you can discover great content on specific topics that may never hit the homepage. Customized Digg: Gives you the latest popular stories tailored to your interests on the Digg homepage, based on what you’re reading and Digging. You can also easily customize your likes and dislikes with a few simple clicks, or opt to look at the traditional Digg home page of the most popular stories. Oprah uses Skype almost every other week since she started using it on her show last year. First, you will notice the “Windows Vista” skin to give you the look and feel of a light application. The software is lighter, they have even removed the Skype Extra manager from running in the background like it used to before. The new look is 100% redesigned to get you everything you need in one screen, whether standard or compact, you still get an entire view of options in one shot, very cool. Voice and video enhanced to crystal clear and video calls are still in the same window of the person you’re calling. Juggling between people and conversation is never easier, they kind of copied the multi-chat window idea from digsby! One thing Skype is still missing, is the automatic update, I got a notification from my iSkoot app on my phone, but never got it on my computer, so unless you are reading the Skype blog or have iSkoot installed on your Android phone, how should people know that there is a new and improved Skype? Also as a sneaky addition, eBay (The owner of Skype) is pushing a new FireFox plugin during the installation of the new Skype, the new plugin will dedict items on shopping websites that are available on eBay and will highlight it and compare the pricing on eBay. It’s useful for shoppers that really don’t know how to shop! For me, I uninstalled it soon after I tried it. You can download the new Skype here.